Where can you reach the most potential buyers? How do you value it properly? And what must you do to ensure you get the best price? The sheer number of secondhand vans for sale is not in your favour. There are all manner of sizes, shapes and colours available, so you need to accept you will be competing against hundreds of other sellers. So before you even consider advertising your van, look at it from a buyer’s viewpoint. Does it look well cared for? Are there any signs of damage? Does the mileage seem acceptable for its age? Is the interior shabby and worn? On the back of this appraisal, clean the van inside and out, repair any faults and touch up any stone chips. Polishing the dashboard, cleaning the windows thoroughly and putting in an air freshener can also help. You can go the extra mile by replacing missing wheel trims and topping up your oil and water levels. At the same time check the tread on the tyres and the pressures. This will help convey the impression of a well looked-after van. Finally, make sure the paperwork is all together, especially the MOT certificate, V5C, service book and details of any repair work carried out. If you have a full service history, this’ll count for a lot in the eyes of a potential buyer. Next you need to value the vehicle, and the most effective way is to see how similar vans have been priced. Buyers will usually have a clear idea what they want and will then compare prices, so make sure yours is in the right ballpark at least. Obviously the price you receive will depend on how you sell it – and the options are either part-exchanging it at a garage for another vehicle, or finding a private buyer. Both routes have their various pros and cons. Part-exchanging is the simplest. You give the dealer your vehicle and they reduce the price of the van you want to buy accordingly. Remember though, they have to re-sell the van, so are unlikely to give you as much as you would get privately. Selling your van yourself is the best way to maximise the price, but this also comes with the hassle of sorting out the transaction. Not only will you need to pay to advertise it, but also deal with potential buyers coming to your house or place of work. In addition, you’ll need to protect yourself against fraud. When someone makes an appointment, get their name, address and telephone number so that you can call them back to make sure they are who they claim to be. Also, never meet at a location which could put you in a vulnerable position. 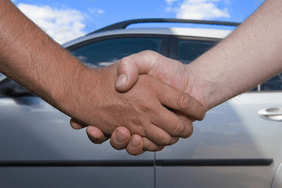 Have a friend with you for back-up and make a note of the registration of the potential buyer’s car when they arrive. 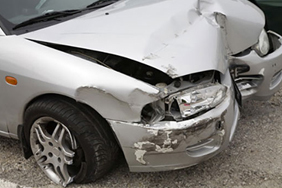 Before allowing them to go for a test drive, it’s important to ensure they have adequate insurance – or at least check that your policy will provide cover – and don’t give them the keys until you’re in the van as well. If they want to buy, don’t let them drive your van away until you’ve been paid and the funds have cleared. 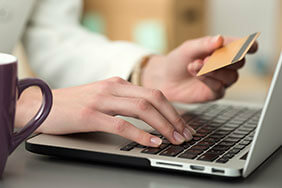 The best way is by electronic transfer as cheques can take some time and cash can potentially be fake. Finally, remember it’s your legal responsibility to inform the DVLA of a change of ownership by completing the form on the V5C and posting it to them. You should also give section 10 of the V5C to the new owner. 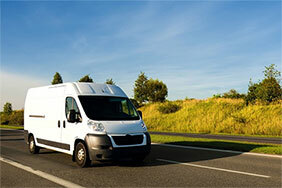 If you're considering purchasing your own van, why not compare van insurance deals as well?